You're under a blazing neon sign. It says, "The Perfect Restaurant Worker." Around you is a crowd of 300 others, in the dark. You stand out like a cajun ribeye on a table with 300 Hot Pockets. That's what we need your restaurant resume to do. Bartenders, line cooks, waitresses, and restaurant managers all have one thing in common. They need resumes that get attention. 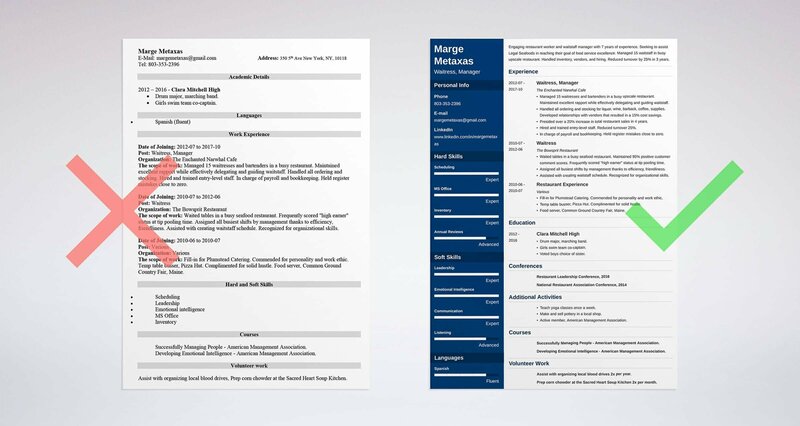 A basic restaurant resume example better than 9 out of 10 other resumes. How to write a restaurant resume that wins more interviews. Tips and examples of how to put skills and achievements on a restaurant resume. How to describe your experience on a resume for restaurant workers to get any job you want. Restaurant Resume Example - See more templates and create your resume here. What's the Best Format for a Restaurant Resume? Say hello to Pete, the restaurant hiring manager. 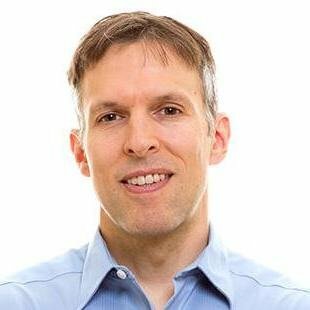 He gets 300+ restaurant resumes a year. He spends just six seconds on each one. That means your restaurant resume format really matters. Because it shows your most recent experience up front. Use plenty of white space, big headings, and above all, clear fonts. No comic sans or (eek) papyrus. Finally, save your restaurant server resume or manager resume as a PDF. That way, it won't turn to soup in transit. Pro Tip: PDFs are the best choice, but check the job description in case they're off the menu. Some job offers reject restaurant resume PDFs. "We should interview this one." Your restaurant resume should make the hiring manager say the words above. That starts with a standout resume summary or resume objective. A resume summary is for food warriors with walk-ins full of experience. A resume objective is for newbies, fresh off the truck. The secret to each? Add measurable accomplishments. 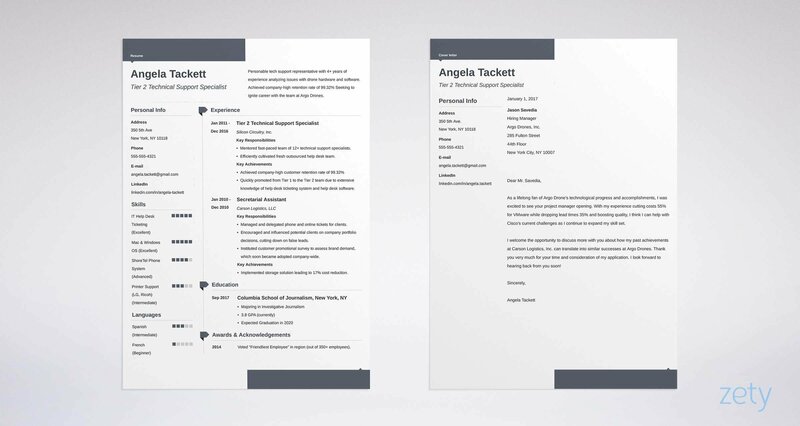 These two restaurant manager resume samples show how it's done. Restaurant manager with 7 years experience, seeking a new position. Managed employees, handled ordering, training and scheduling. On its own, that isn't bad. But it melts into the other fine dining resumes on Pete's laptop. Engaging restaurant worker and manager with 7 years of experience. Seeking to assist Legal Seafoods in reaching their goal of food service industry excellence. Managed 25 cooks and waitstaff in fast-paced, high-end restaurant. Handled inventory, vendors, and hiring. Reduced turnover by 25%. That could be from Rachel Ray or Bobby Flay. The details sell it. No experience doesn't have to mean the trash bin. Use a resume objective if you're an entry level applicant or if you're seeking a new niche. Entry level restaurant worker. No real restaurant experience yet, but I'm anxious to start! That misses the target like a pancake on the ceiling. Does that wait staff resume have 3+ years of experience? No. More like 3 days. But a restaurant server resume with just a few small stints like that can sell your skills. Even customer service experience looks great on a resume for restaurant positions. Pro Tip: Your restaurant resume objective or resume summary is just an appetizer. Save the main course for your experience section. Let's get back to Pete, the hiring manager. He needs to know you can do the job like Anthony Bourdain. Don't have any on your restaurant resume? Include customer service, festivals, catering, or similar work history. Show your last job first. Add 3-5 bullet points with measurable achievements. Match them to the restaurant duties and responsibilities in the job offer. Managed 15 waitresses and bartenders in a high volume restaurant. Developed relationships with vendors that resulted in a 15% cost savings. Presided over a 20% increase in total restaurant sales in 4 years. Hired and trained entry-level staff. Reduced turnover 25%. Wow. Five star. That's how to put restaurant experience on a resume. It works equally well on a restaurant general manager resume. That first restaurant resume example is a Triple Chocolate Meltdown. The second is the wooden stick left after you eat a popsicle. Without details, you're an empty plate. But what if you don't have them? Let these next two restaurant waiter/waitress resume examples be your guide. There's no such thing as "no restaurant experience." Anyone with any history with food or working with the public can list that on a restaurant resume. Don't even have that? Consider a few days of temp work at restaurants, festivals, or catering companies. Next, make it shine like the second of next two restaurant resume examples. Not good, right? It's like a box of generic cornflakes. Fill-in for Plumstead Catering. Commended for personality and work ethic. Temp table busser, Pizza Hut. Complimented for solid hustle. Food server, Common Ground Country Fair, Maine. Nice. Like Gordon Ramsay in the rough. But stop and do the math. That restaurant resume example only lists about three days of experience. Pro Tip: Need to know how to describe restaurant work on a resume for other jobs? Match your achievements to duties and skills shown in the job description. Restaurant work ain't about PhDs and fancy titles. But if you don't make good use of your education section, you're serving up an empty plate. Then add accomplishments that match the job description. The two sample restaurant resume education sections below are as alike as Ronald McDonald and Guy Fieri. Voted boys choice of sister. See that? It's not about the degree. It's about the restaurant worker achievements. They all show responsibility and interpersonal skills. Why bother, right? You could just say, "Graduated high school." On a resume for a restaurant worker, that example looks like imitation seafood. But add back the details, and you're serving up a feast again. Pro Tip: Are you writing a restaurant general manager resume? If so, your education matters a lot more. Focus on school achievements that show leadership. Let's sneak into the back office after hours. There's Pete, the hiring manager. He keeps throwing breadsticks at the wall. Every one of the 300+ restaurant resumes he's looked at shows the same skill set. Yet not one of them shows proof. Then he gets to yours. His frown vanishes like a plate of bacon-wrapped anything. Received three commendations from management for speed and efficiency. Zero sick days in four years of enthusiastic cooking. Assisted in creating 96% customer satisfaction scores throughout the restaurant. Ding! You matched your skills to your experience like a great side dish to a fantastic entree. Kick off with these professional restaurant resume skills. Add to them from online job descriptions. The skills you pick depend if you're a bartender, server or waiter, cook, or restaurant manager. Use the tips above, and your good restaurant resume will sizzle like an entree from Hell's Kitchen. Pro Tip: A resume for a restaurant worker doesn't need every skill in the book. It just needs the ones in the job description, plus a couple extra. Experience will get you 75% hired. But you can't earn a living on "almost." To put your restaurant resume over the top, prove you're more than just a sheet of paper. Show your passion with "other" sections that work like marinated mozzarella. Watch how that's well done in two more restaurant manager resume examples. This first sample restaurant resume "other" section is as unwelcome as a big party 5 minutes before closing. I score very high at Pokemon GO. What's the problem with clubbing, cleanses, and Pokemon? But they don't make you a better restaurant worker. Teach yoga classes once a week. Make and sell pottery in a local shop. Active member, American Management Association. Successfully Managing People - American Management Association. Developing Emotional Intelligence - American Management Association. Assist with organizing local blood drives 2x per year. Prep corn chowder at the Sacred Heart Soup Kitchen 2x per month. My compliments to the chef. You've heard the saying, "If you need help, ask a busy person." The same goes for hiring one. This resume for a restaurant worker paints a picture of someone you can depend on in a clinch. Pro Tip: Don't have achievements like the ones above? Start some! Most don't take long. They look great on a high end restaurant resume, and who knows. You might have fun. It's not true that nobody will read your restaurant cover letter. What the "experts" mean is, nobody will read a boring cover letter. So, don't be boring. Don't say, "Here's my resume. Please read it." That's like telling customers their food will be delicious. I've wanted to work at Faccibene's Grill for the last 3 years. Your commitment to creative and intriguing cuisine is well known. I've been eating here on Sundays and I love the team you've built. I think my creative cooking style and easy-going personality would mesh nicely with your business. That example restaurant cover letter satisfies. First, it uses the hiring manager's name. Second, it's detailed and personal, and it proves how you can help. Now, close it with a request. "Can we schedule some time to discuss how I can help [XYZ Restaurant] reach [XYZ goal]" works great. Pro Tip: Follow up on your restaurant resume and cover letter. That hiring manager is busy. She'll appreciate your hustle, and the reminder will improve your chances. This is not your first rodeo. But what about your LinkedIn profile? Did you know 87% of recruiters use LinkedIn to find applicants? You need a great LinkedIn profile as much as you need a great restaurant resume. Then, make sure you put the address with your contact info. Pro Tip: Your LinkedIn profile is as important as unlocking the front door. Make sure it hits the spot. Use this guide to LinkedIn profile excellence. Your restaurant resume summary or resume objective is an appetizer. Stuff it with the most mouth-watering achievements from your past. Read the job description carefully, then use it. A resume for a restaurant worker needs to brim with thirst-quenching bullet points that prove your skills. Sprinkle liberally with dedicated "other" sections. They should prove your passion for feeding the hungry masses goes beyond the quest for money. Do you have questions on how to write a great resume for a restaurant worker? Not sure how to describe your skills or achievements? Give us a shout in the comments! We love to help!